I am such a flake sometimes. I completely forgot to post about the new additions to the Papercut Ketubot collection I collaborate on with Urban Collective! 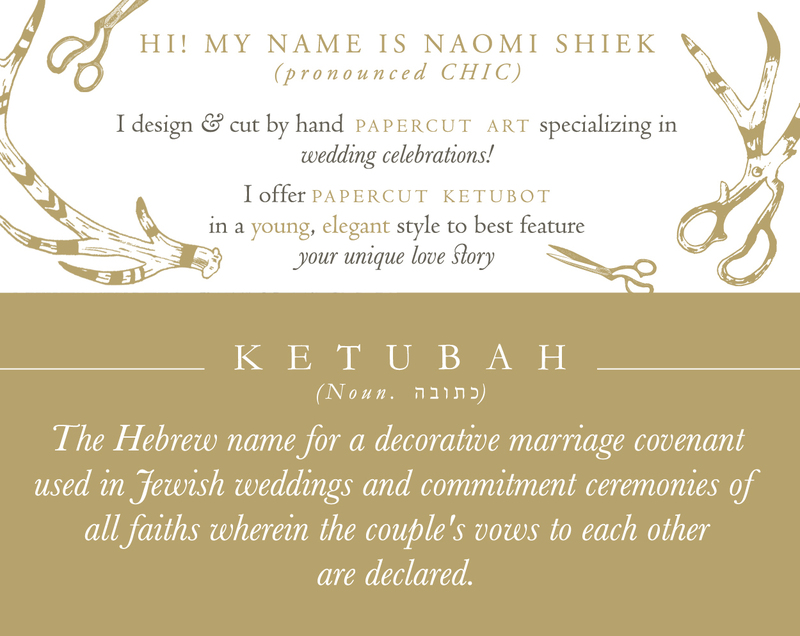 For several months now I've been collaborating with wedding stationery designer Jennifer Raichman on a special line of hand-cut papercut marriage licenses (called 'ketubot'). They are poster-sized and very beautiful in person. Imagine one of these with your marriage vows or poem printed on there, propped up at the entrance to your wedding reception. 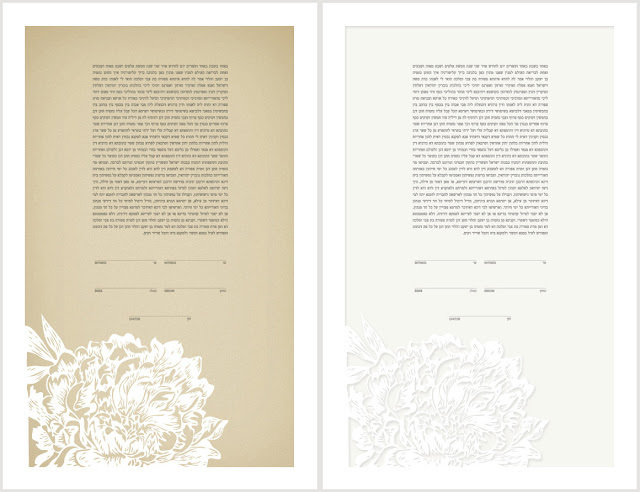 Or as a guestbook poster you can frame and hang proudly as a wedding momento. 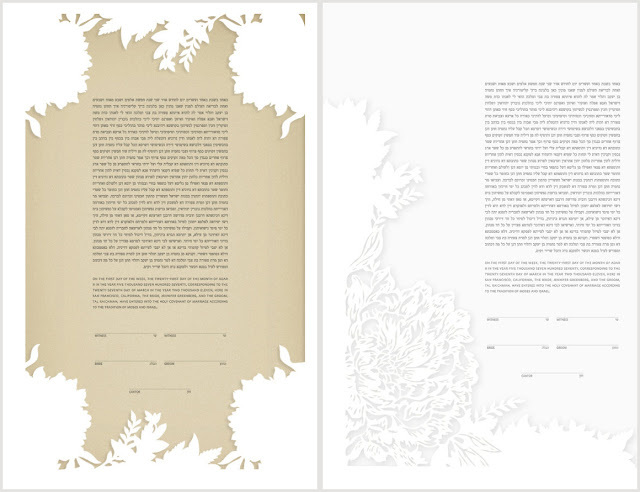 The ketubot are made from 2 paper layers: I cut each one by hand (the top layer), and Jennifer prints out the custom text layer for the clients. We launched just before the wedding season and I'm happy to say it's going well. 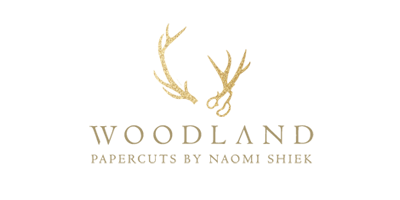 We started out with 8 designs, that clients could match with Jennifer's stationery or my own Woodland Papercuts invitations, and I've now added FIVE new designs, and we're planning on at least 3 more in two months' time. 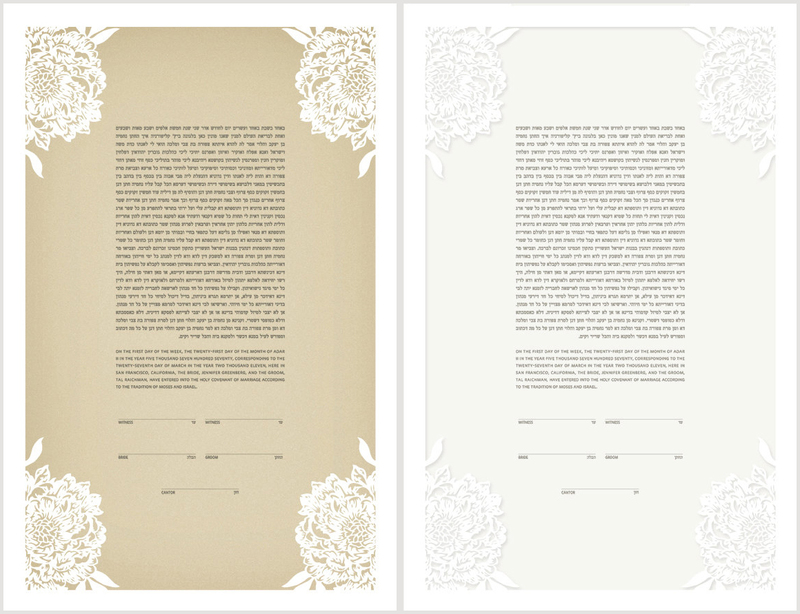 There are now 14 designs in the ketubot collection. The peony designs prove to be the most popular, so I've added more variations of the flowers to the collection, something a bit more streamlined than the ornate Peonies Frame and Peonies Border designs. I also realized I never shared a clean picture of the Corner Peony design here. 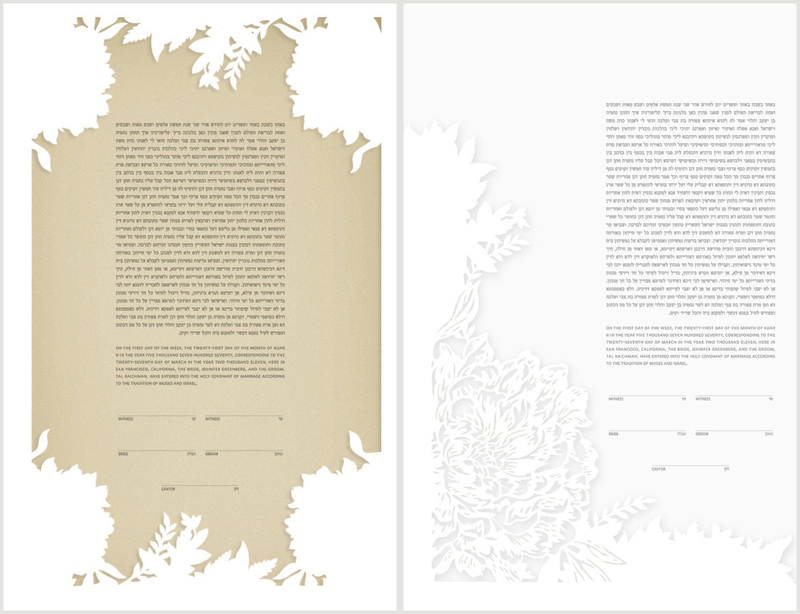 The pictures are mock-ups of the new peony designs, so you can see how my hand-cut papercuts look against a white or a color background. As always, you're welcome to click the images to see them on a larger scale.